Food and stories are inherently interconnected. Not only are stories aplenty around our dinner tables, food we eat themself tell stories. They tell the stories of the land, of the people. They also tell the stories of people who transport them, stories of people who harvest & prepare them, as well as the stories of people who ultimately devour them. 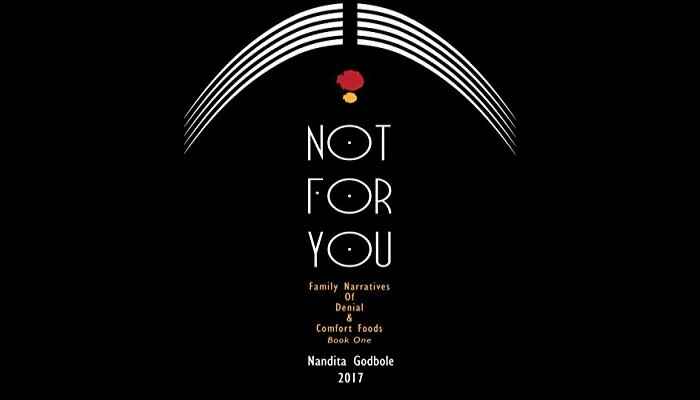 One author who has brought the food and the related stories together on one splendid platter of desi comfort food with her simple yet powerful story-telling is Nandita Godbole. She is one foodie who has carved out her name in the field of cook-books and has charmed her clients, friends, and family alike with her sumptuous food preparations both at her home and at her supper club. But this is her first foray into storytelling, that too, in the food fiction genre. Of course I am talking about her latest book ‘Not For You Family Narratives of Denial & Comfort Foods (Book One)’. ‘Not For You …’ plots countless characters, a number of stories, and dozens of recipes of simple comfort food in to one charming food fiction book. These stories are of simple and ordinary everyday people going through everyday life, struggles, and emotions. But from the stories of Moti-ba, to Damodar, and from a tiny Rajasthan village to the bustling mega metropolis of Bombay (now Mumbai), ‘Not For You’ is also a historical document. Starting from the turbulent period just around the 1857 Mutiny to overthrow the rule of the (British East India) Company, the book records in fascinating details some of its immediate effects on numerous lives on many levels. It also provides an account of an India undergoing a period of tumultuous change as a result of the policies implement by the British rule. These policies were drastic and catastrophic to most Indians in many ways. It is in describing some of the minutest details of these historical events that the author comes to her elements. It is Nandita’s nuanced and sensitive story telling that gives the readers the fullest view of these events. Yet Nandita promptly stays clear from any political and ideological distractions. Her stories cut across generations and show how each generation has its own idiosyncrasies in dealing with life situations. And yet how the fundamental elements of their relationship with nature, food, and each other doesn’t change at all in so many ways. The book includes sixty extremely simple comfort-food recipes. 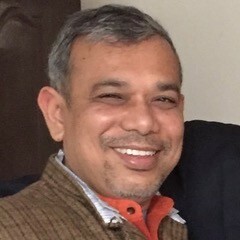 My absolute personal favorite is Johari-Ba’s Laapsi. It reminds me of my Nani-ma’s Laapsi. Unfortunately, such recipes have not only become rather uncouth in the modern day progressive society, they have almost become extinct. Nandita has done an exceptional job in recording and resurrecting some of these recipes. Whether or not these recipes become mainstream, ‘Not For You’ is just my kind of food fiction. It was a delightful experience to read the stories and then cook from one of the recipes.